Summer vacation is officially over for me (I adapted very well to the Italian style of closing down for a month ;)) and I’m back and ready to blog until my fingers fall off. 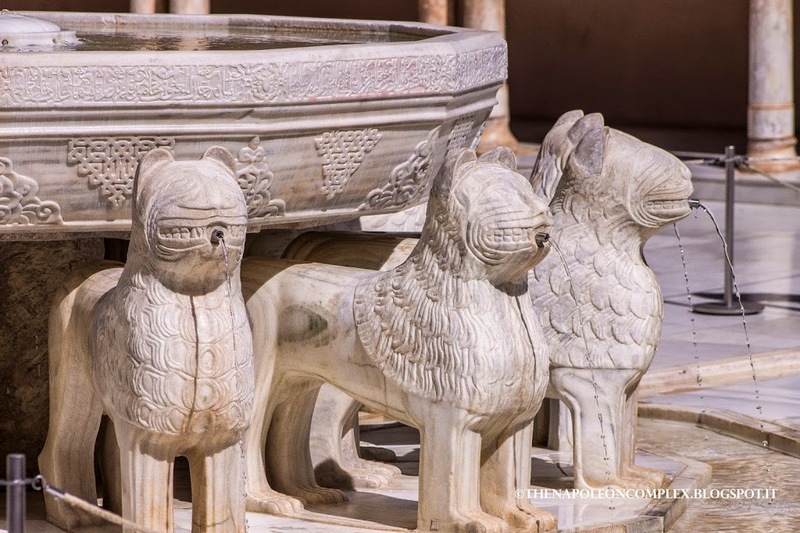 I still have a bunch of stuff to talk about from before my summer vacation, but we also saw a few cool places and checked off a couple UNESCO sites from our list so I am so excited to share all of our adventures with you guys. 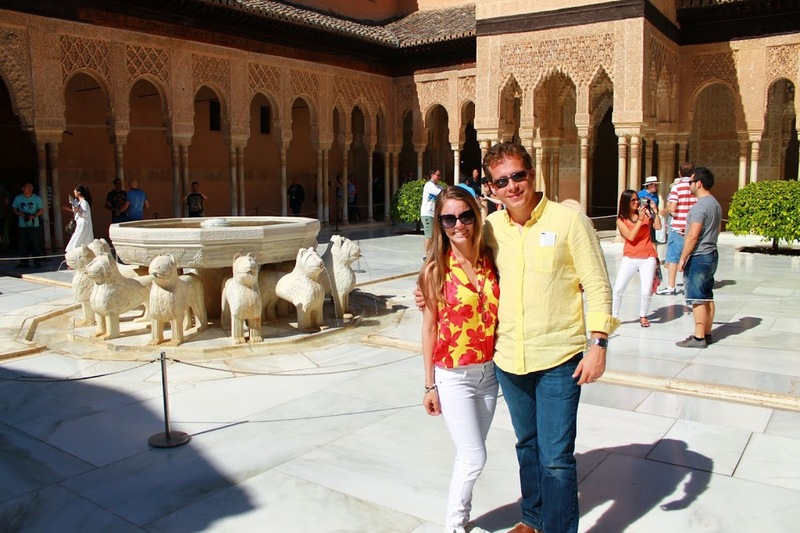 To continue where I left off from our trip to Spain, today I’m going to share our experiences visiting Granada and the world-famous Alhambra. Personally, I think Spain is a little underrated in people’s travel lists, especially when you compare it to a country like Italy. Yet, for me, Spain is just as beautiful (if not more) than Italy. 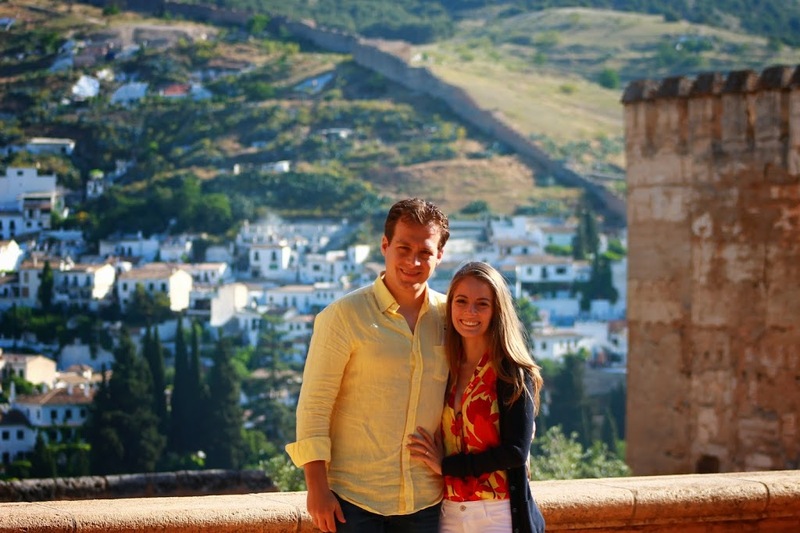 Tiny little towns, great food, lots of culture and history, and more UNESCO sites than I know what to do with :). 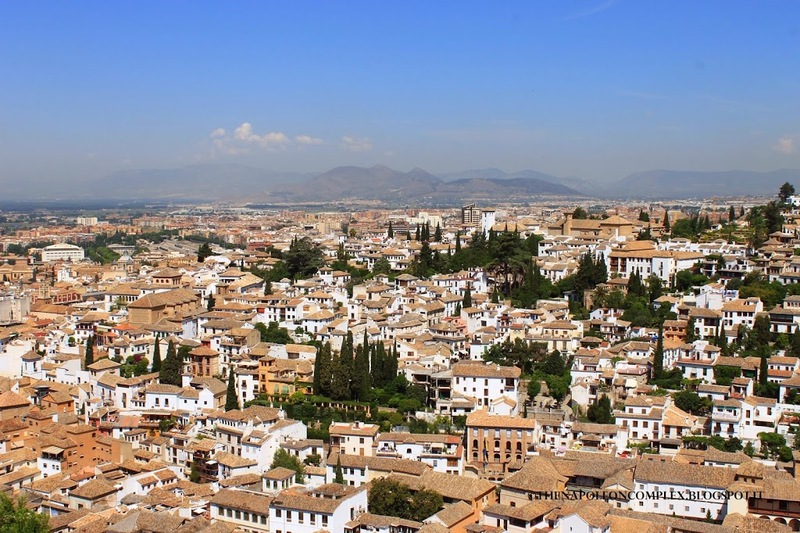 Even when people do visit Spain, a town like Granada may be skipped in favor of Barcelona, Madrid, Seville, etc. 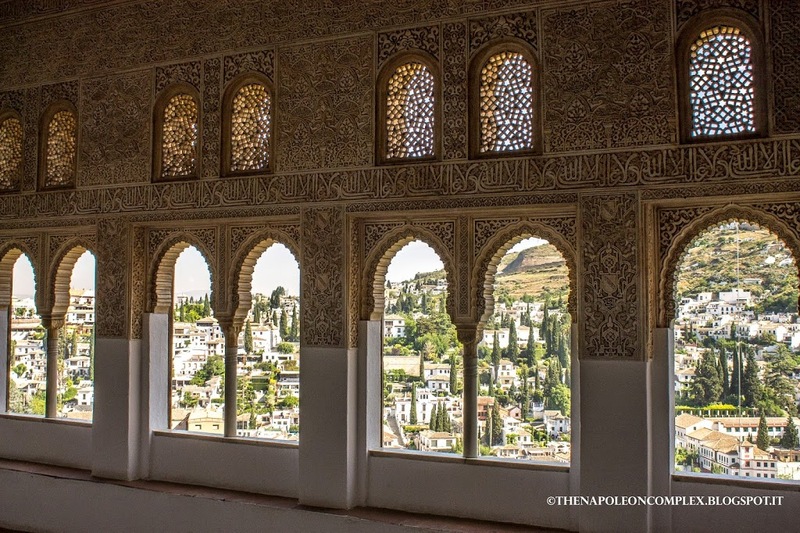 We ended up staying three full days and one half day in Granada and based on that, I feel one should spend at least two days: one day for Granada and one full day for the Alhambra. 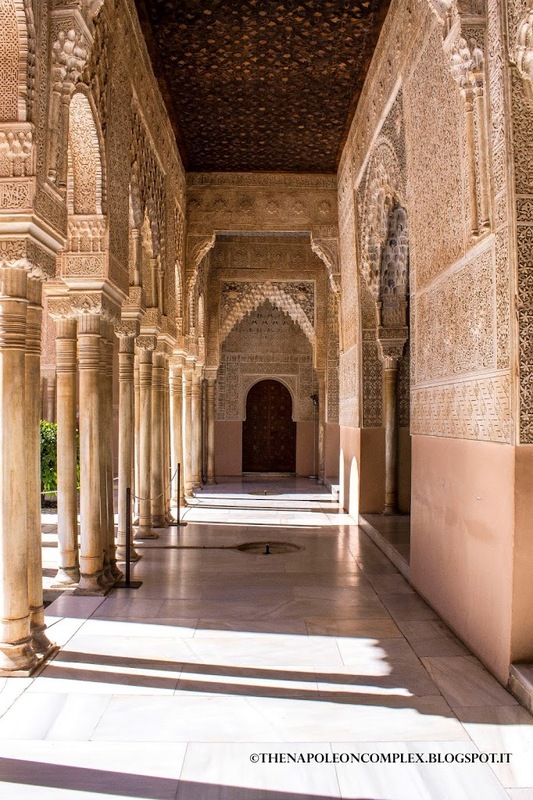 I don’t know about you, but when my uncles told me the Alhambra would take up a full day, I was a little skeptical because all I could picture in my mind is the famous Courtyard of the Lions in a palace like any other. 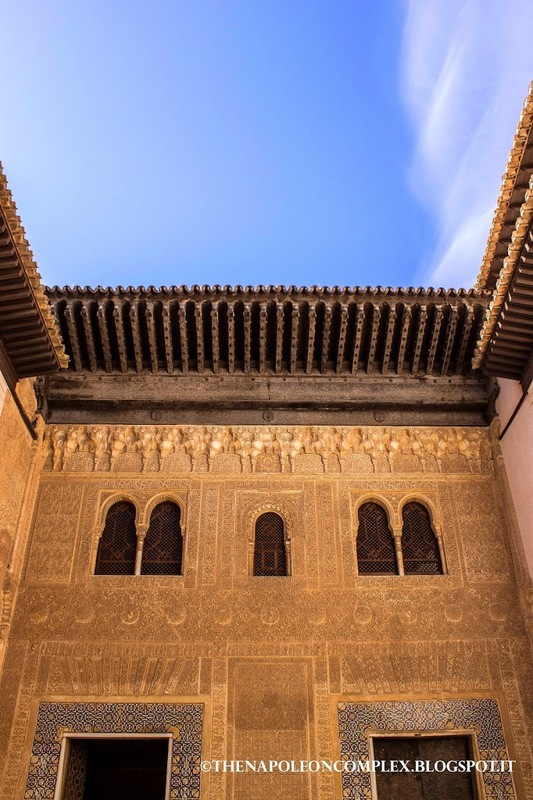 But really, that courtyard, even the palace where it resides, is only 50 minutes of your entire day in Alhambra. 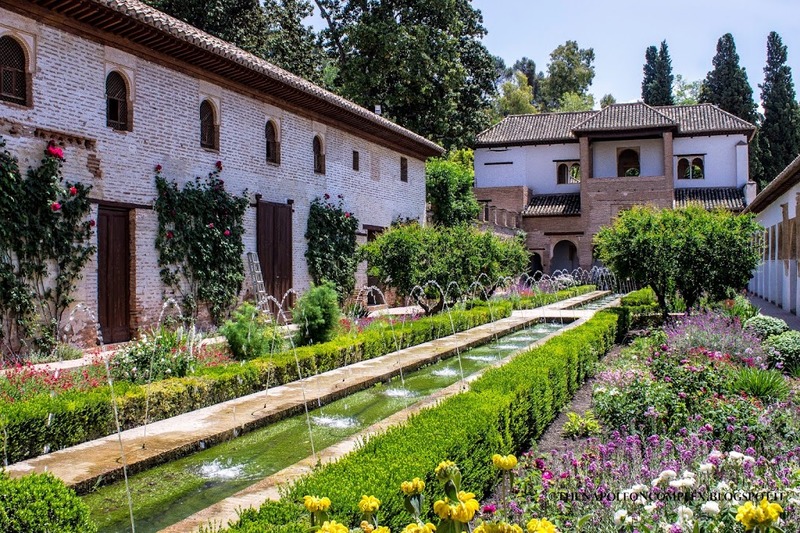 The Alhambra consists of the Palace of Charles V (which includes a small museum of the Alhambra), the Alcazaba (citadel), the Royal Palaces (which in itself is divided into three different areas constructed in different time periods), and its gardens, Generalife. Now, when you buy your ticket, you can choose a morning timeslot (from 8:30 am to 2:00 pm all year long) or an afternoon timeslot (2:00 pm to 8:00 pm March-October or 2:00 pm to 6:00 pm October-March). There is also, I believe, a night time slot during the summer. 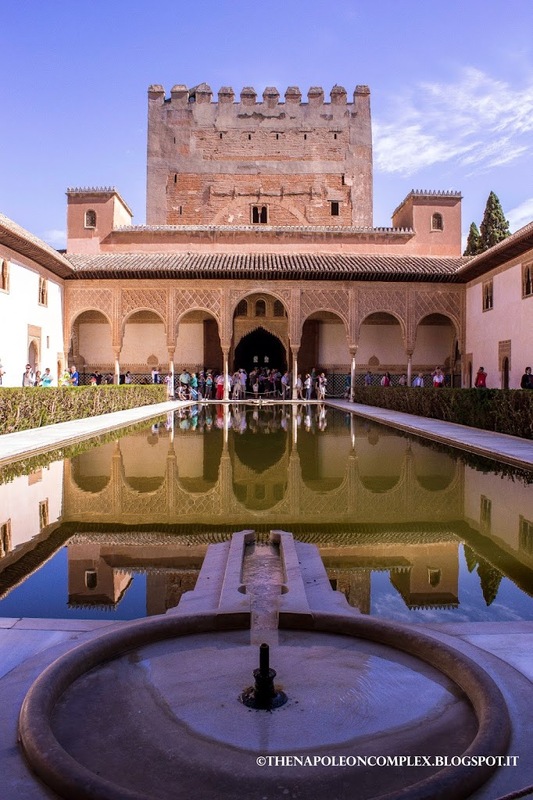 Basically, these timeslots mean that you have six hours to wander all over the Alhambra, HOWEVER, you will have a specific 50 minute timeslot within those six hours to visit the Royal Palaces. 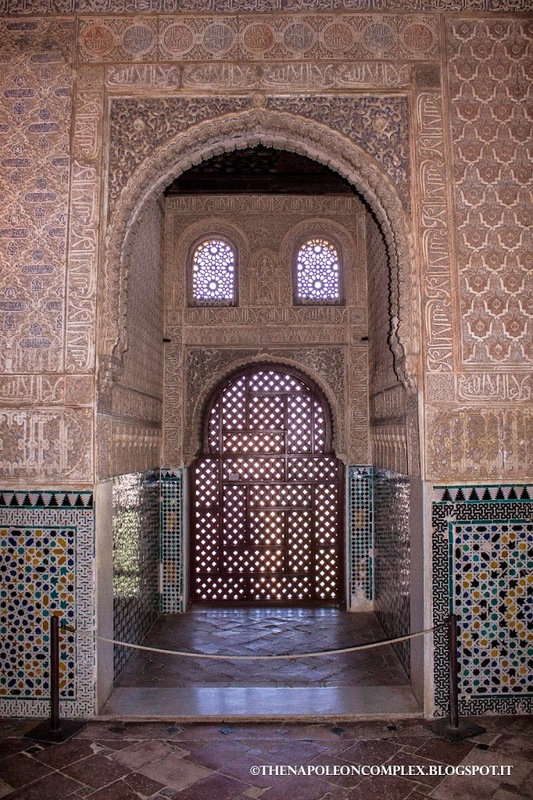 You must go during your scheduled time or risk not seeing the palaces at all, which is probably the main reason you’re there to begin with. I’m explaining all this because this wasn’t really clear to us until we arrived. 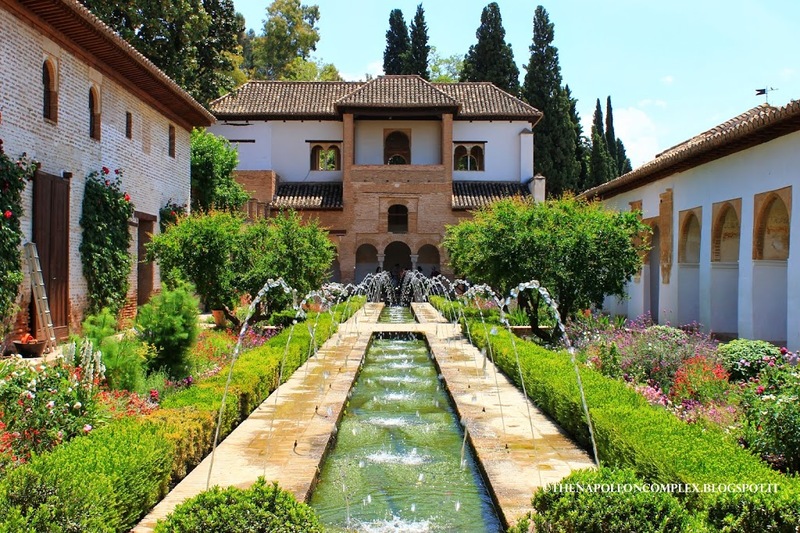 My other tip is that as soon as you buy a plane ticket to Spain (maybe even as soon as you decide a specific date), BUY YOUR TICKETS TO THE ALHAMBRA, ESPECIALLY IF ITS HIGH SEASON! We didn’t do this and paid dearly with sleep for it. 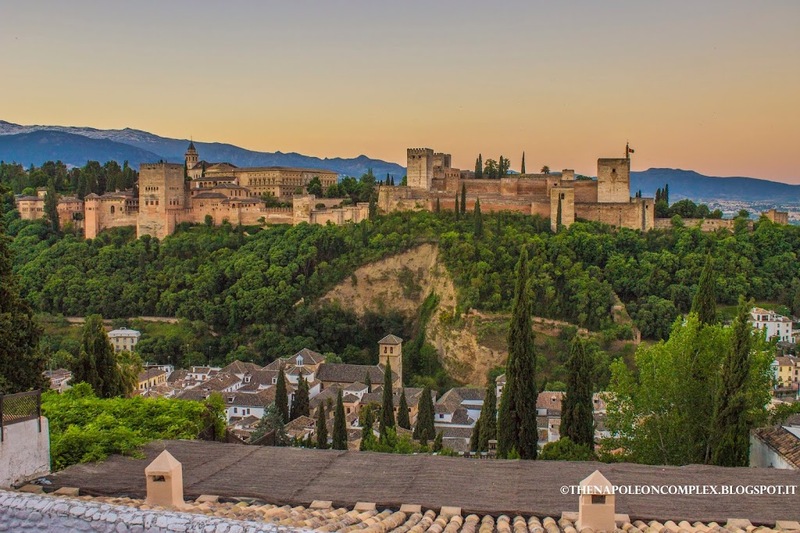 We arrived in Granada on a Thursday night (there are no high speed trains from Seville to Granada, another thing to keep in mind) and innocently asked our hotel concierge about acquiring tickets to the Alhambra. She pretty much scared us half to death when we told her we hadn’t reserved them. She informed us that tickets were sold out, however, they do sell about 400 per day at the door, you just have to get there at an ungodly hour to get them. 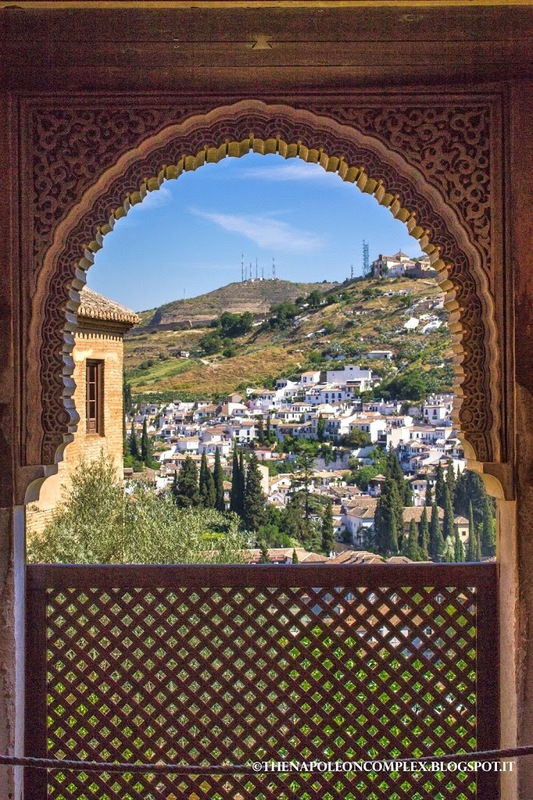 The next day, a Friday, we were leaving the hotel at 6:00 am because there was no way in hell I wasn’t going to see the Alhambra in the four days I was spending in Granada. Even though we were a little scared, we were optimistic because we still had three other days to try and get tickets. As the concierge had said, there was already a line when we arrived at the ticket office (less than 100 people in front of us at this point, some without tickets and some with reservations to pick up their tickets). Basically, at least that day there were indeed some 400 tickets being sold for the morning slot and another 200 being sold for the afternoon slot. This was in May, so if we had gotten there an hour later, we would have still gotten tickets, but you also want to be entering the complex right when your time slot starts or risk not having enough time to see it all. I’m guessing if you go in August and don’t have tickets, you better be making that line at like five in the morning. 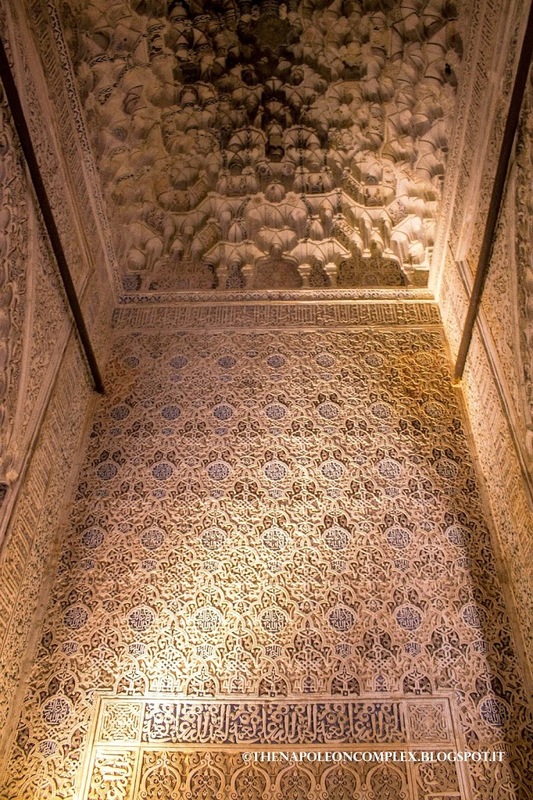 With all that taken care of, we can now get to the fun and beautiful part of the Alhambra. 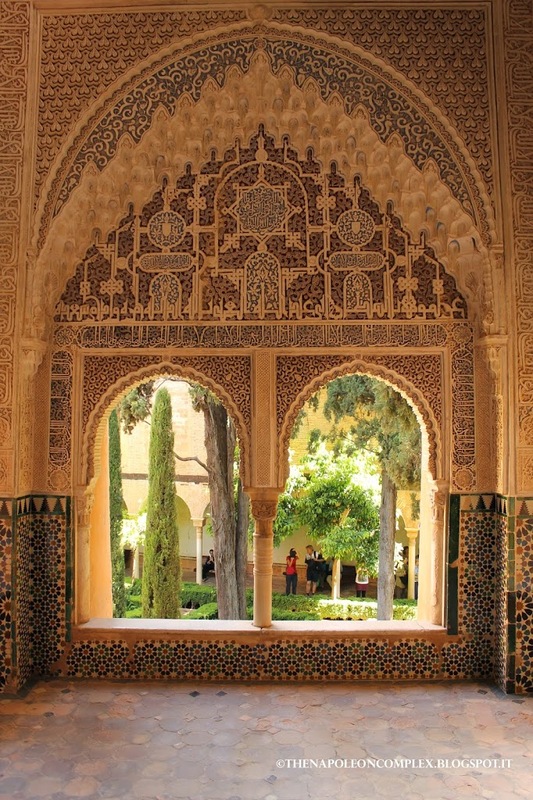 Most of the pictures I’m sharing with you here are from the Royal Palaces and the gardens because, let’s face it, it’s definitely the most picturesque. However, the entire fortress is absolutely a must-see-before-you-die type of location. Also, if you can afford it and you’re not doing a guided tour, I absolutely recommend splurging 20EUR to buy the official guide. We used it while we walked and I’m actually leafing through it now to explain the pictures. Here you can see the neighborhood of Albayzin in the background. 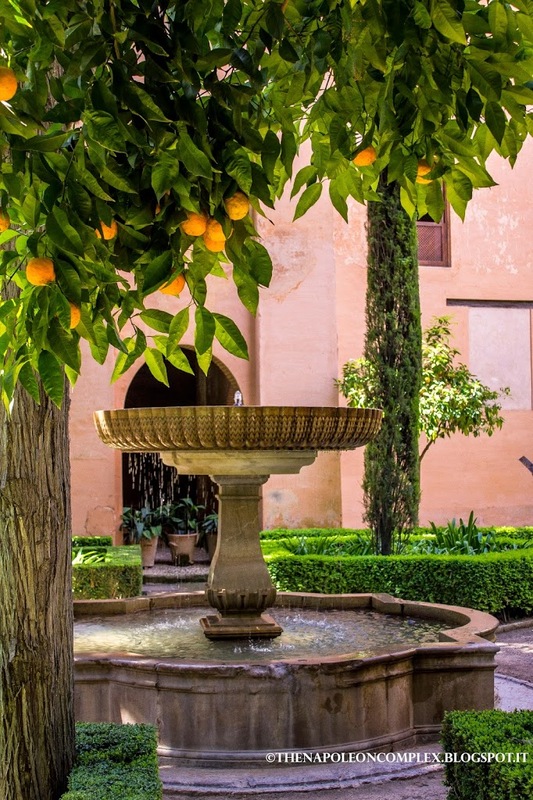 Taken from the courtyard in front of the Alcazaba. Inside the Alcazaba, view from the important watchtower, Torre de la Vela. On January 2, 1492, the flag of Ferdinand and Isabella was first raised in this watchtower as a symbol of Spanish conquest. 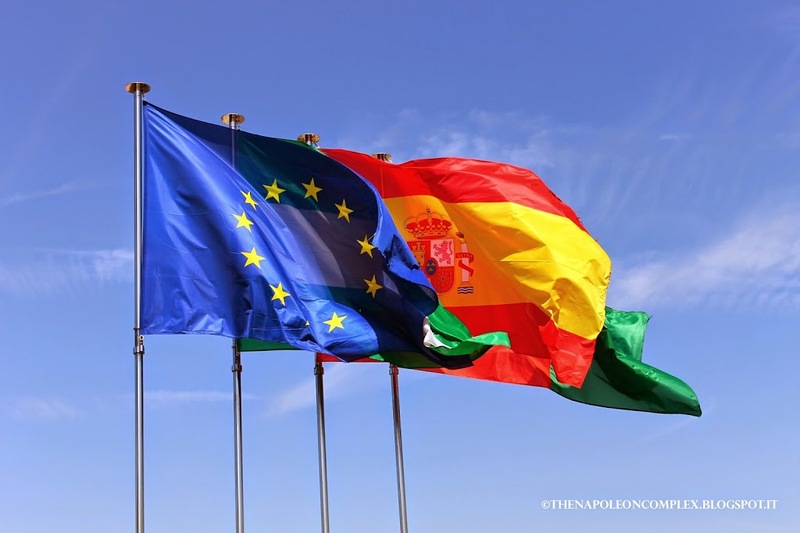 Today, you see the European Union flag, the Andalusia flag, the Spanish flag, and the Granada flag at the far end. The façade of the Comares Palace from the Patio of the Gilded Room. The detail in one of the doors. The views from inside were spectacular. It was a great day all in all, we ended up leaving at around 2:30 pm or 3:00. It was seriously one of the most beautiful places I’ve ever been to in my life and I highly recommend it if you are anywhere in the south of Spain. Obviously, after being awake since 5 in the morning, we left and went directly to the hotel for a siesta (I’m telling you, some customs are just so easy to adapt). 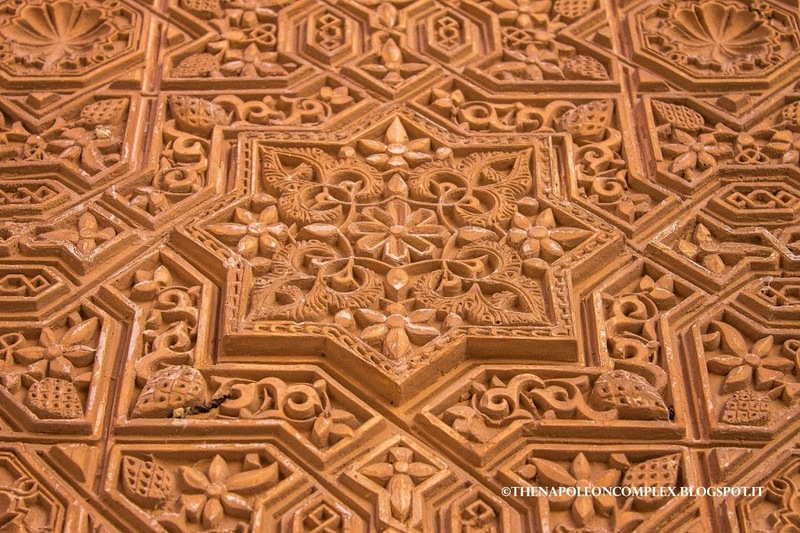 The other thing I wanted to include in this post is where to take the best pictures of the Alhambra. 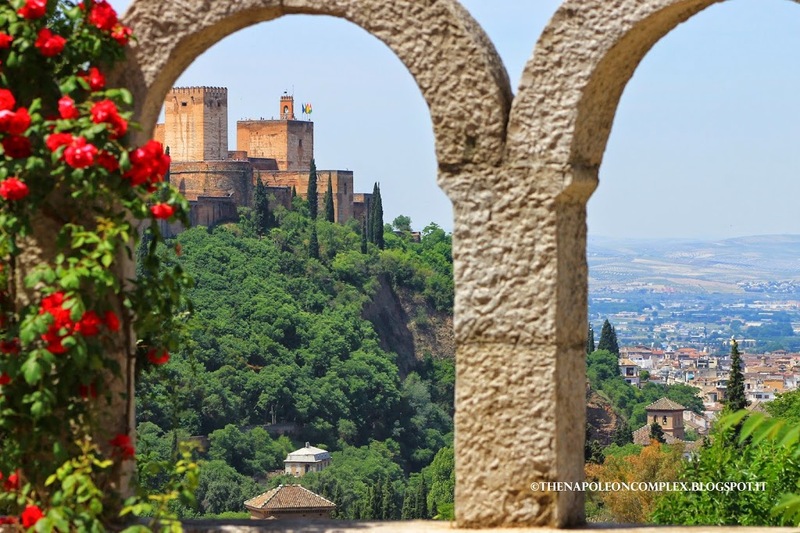 Ask anybody there or any guidebook and they’ll tell you to go to the Mirador de San Nicolas in the heart of the traditional gypsy neighborhood (the other area of Granada that deserves to be explored). We went the next day at sunset and while the view really is spectacular, as you’ll see below, it’s kind of hard to take a picture because it is literally full of people playing music, smoking, hanging out before dinner, etc. Personally, I think this view is just as good as the other one, if you’re willing to go a little off the beaten track to find it. When we went to this museum, the direct path was closed so we had to detour following the signs and ended up here on the way. I’m including a little map of where it is, you can only really see it in Google Maps’ Satellite View, to hopefully make it a little easier to find it. If you zoom in to the panoramic viewpoint green star, you can even see the arches from the above picture. The GPS coordinates are 37°10’54.6″N, 3°35’00.3″W (+37°10’54.6″, -3°35’00.3″ if you are inputting into Google Maps). For the Mirador de San Nicolas, we went in the afternoon for a sunset picture of the Alhambra, but were not really happy with the results, so we decided to get up before dawn on our last day and get a sunrise picture instead. 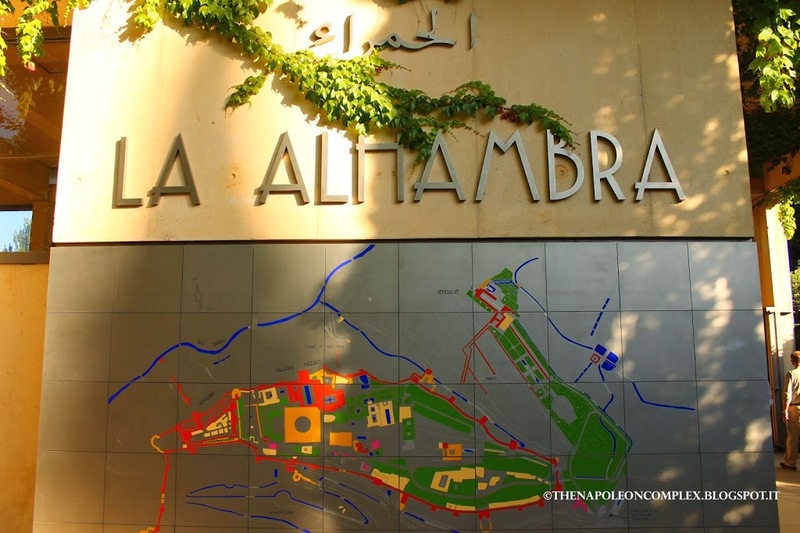 In Arabic, Alhambra means La Roja, or The Red One because the walls look red. You can definitely see what they mean during the sunrise and sunset. 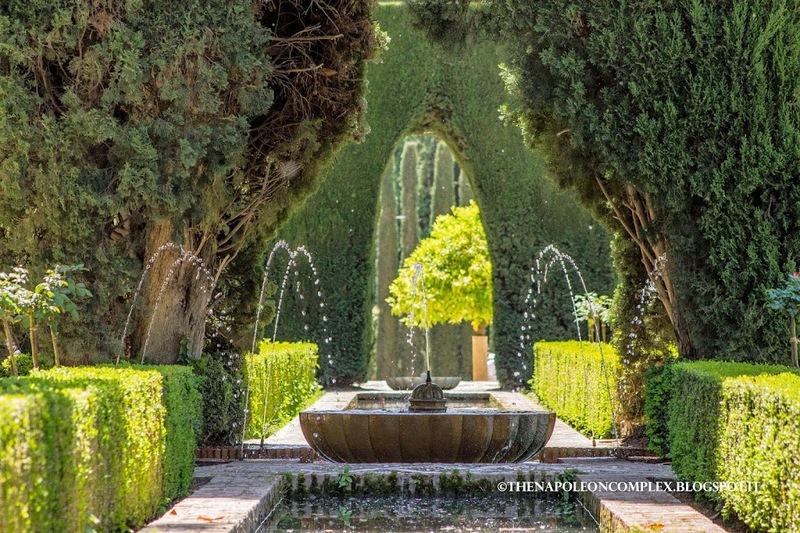 If you’re still reading thus far, this concludes the mother of all Spain posts. 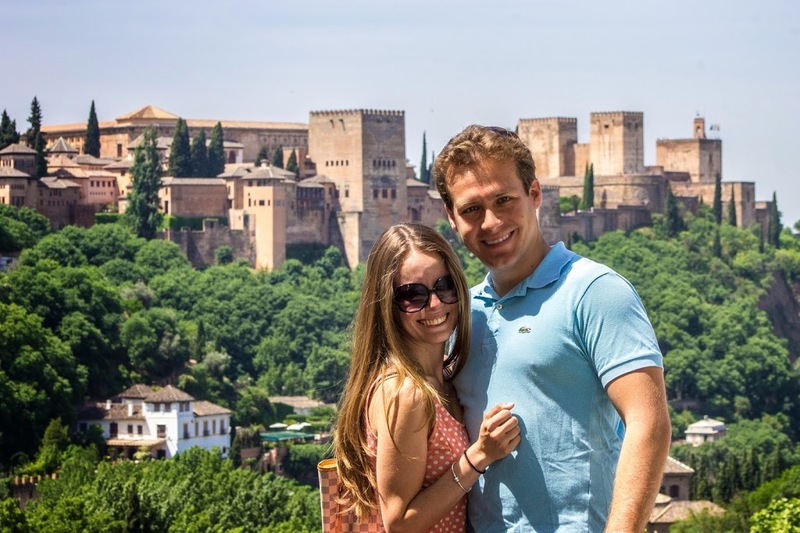 I will do one more, a fun one on the different things we ate in Spain just because it was just so delicious! After that, it’s back to Italy!